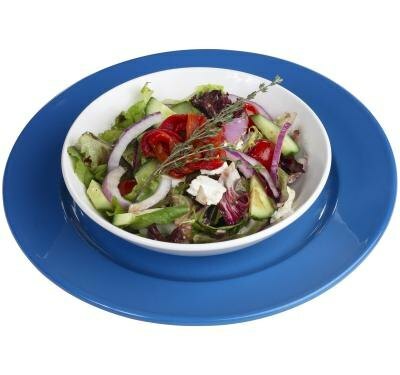 Consisting mainly of fresh vegetables and cheeses, the variations to salads are endless. Everyone has their own favorite take on the dish, whether served as an appetizer or an entree. Not only are salads vast in their creations, but they hold great nutritional value, making them a welcome addition to any meal. 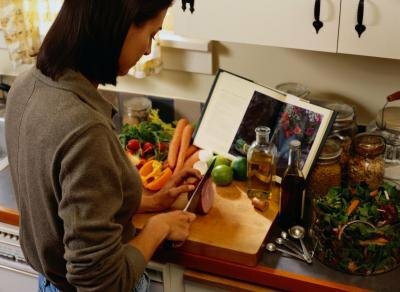 There are many different types of salads to make at home. The garden salad is the most basic and common of salads offered at restaurants. They typically consist of iceberg lettuce, tomatoes, cucumbers, onions, green peppers and shredded cheddar cheese, though exact toppings may vary. The garden salad is served with balsamic vinaigrette or ranch dressing, though there is no standard dressing. 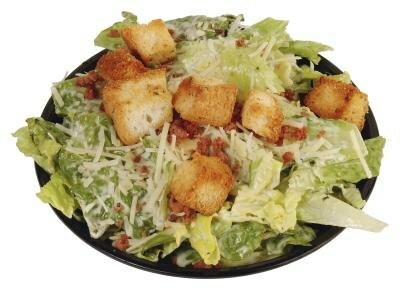 The basic Caesar salad consists of romaine lettuce, Parmesan cheese, croutons and Caesar salad. Sometimes the salad includes anchovies and olives. There are few varying stories on the origination of the salad, but the most accepted one is that it was created by Caesar Cardini in 1924. The Cardinis operated a restaurant in Tijuana, Mexico, and during a busy weekend when supplies became short, Caesar concocted the salad with supplies on hand. A popular salad in the summer months of Greece, Greek salad contains sliced tomatoes, cucumber, olives, red onion and feta cheese, and is topped with olive oil. 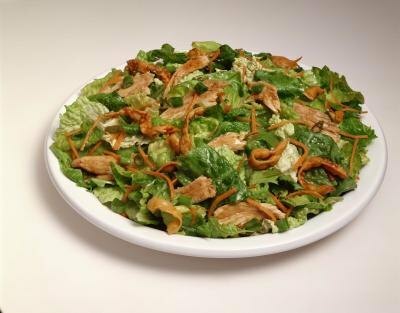 The Cobb salad was created by baseball-great Ty Cobb's cousin, Robert Cobb, in 1937. Brown Derby restaurant owner Robert Cobb was itching to make a late-night snack for a nearby theater operator. Taking items he found from the refrigerator and chopping them up, the salad was born. 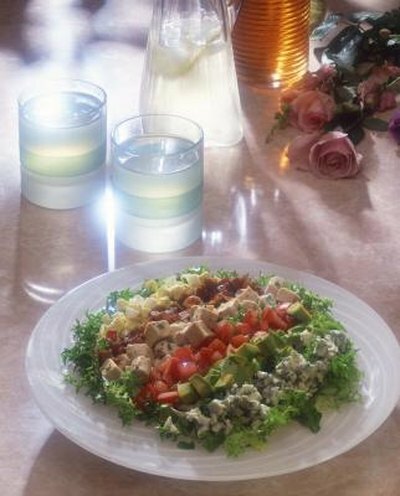 The salad consists of lettuce, tomatoes, bacon, hard-boiled eggs, grilled chicken, avocado and Roquefort cheese, and is topped with a vinaigrette dressing. The Waldorf salad, named after the famed Waldorf Hotel in New York City, was created in 1983 by the hotel's maitre d'. 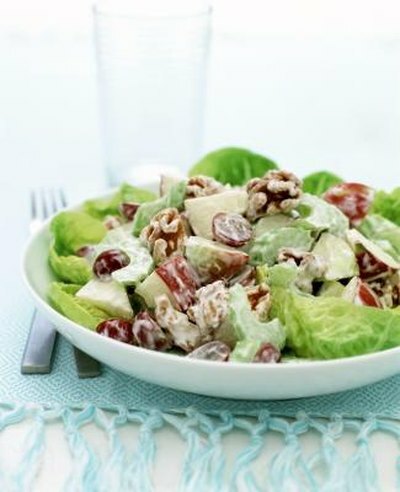 The Waldorf is a simple salad consisting of chopped walnuts, grapes, julienned apples, celery and mayonnaise. The Oriental salad consists of field greens, mandarin orange slices, sliced almonds, peanuts, fried Asian noodles and, often, orange-glazed fried chicken. Sesame ginger dressing tops the salad. What Are Some Different Kinds of Salads? A Caprese salad consists fresh mozzarella, tomato slices and basil, served with a balsamic vinaigrette.